32 Commercial Real Estate & Properties in Ormeau are listed in 4 categories. We have 27 Industrial Warehouses Sale , 6 OfficesSale , 3 Development LandsSale and 2 Retail ShopsSale . Warehouse Office In Secure Complex - Price Reduced! Price Reduced - MUST BE S.. Brand New Factories - Only 2 Left!! From $260,000 - $1,350,00..
2 year lease in place til June 2020 Fully tiled ground floor office 110m2 First floor office 150m2 40m2 floor warehouse area glass tilt door access Ducted air conditioning throughout Quality carpet tiles 4 allocated car parks Snack bar on site approx Please contact the listing agent for more details by clicking on the link above. Disclaimer: Ray White has not independently checked any of the information we merely pass on. We make no comment on and give no warranty as to the accuracy of the information contained in this document which does not constitute all or any part of any offer or contract by the recipient. Prospective purchasers / lessees must rely on their own enquiries and should satisfy themselves as to the truth or accuracy of all information given by their own inspections, searches, inquiries, advices or as is otherwise necessary. No duty of care is assumed by Orchid Avenue Realty trading as Ray White Surfers Paradise Commercial divisions toward the recipient with regard to the use of this information and all information given is given without responsibility. 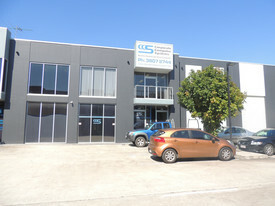 77.94m2 ground floor open plan office 74.36m2 mezzanine office with fitted out offices 4 allocated car parks Ducted air conditioning Tenant in place til 30th September 2019 with options Don't miss this outstanding opportunity with a 7% net return approx Please contact the exclusive listing agent for more details by clicking on the link above. Disclaimer: Ray White has not independently checked any of the information we merely pass on. We make no comment on and give no warranty as to the accuracy of the information contained in this document which does not constitute all or any part of any offer or contract by the recipient. Prospective purchasers / lessees must rely on their own enquiries and should satisfy themselves as to the truth or accuracy of all information given by their own inspections, searches, inquiries, advices or as is otherwise necessary. No duty of care is assumed by Orchid Avenue Realty trading as Ray White Surfers Paradise Commercial divisions toward the recipient with regard to the use of this information and all information given is given without responsibility. Brand New Industrial Unit Complex - Due For Completion Mid 2018 Starting From $258,000 + .. Brand New Units - Available Now FROM $ 460 000 - $ 1 350 ..
Mixed Use Retail And Residential Expression of Interest Cl..
DA Approved Mixed use Development situated in the North Gold Coast Growth Corridor. Occupying 3.84 HA (9.489 acres) of usable developmental land joining Pimpama River and opposite Mother Teresa Catholic Primary School. , 1.5km to the M1 motorway Exit 45 , 1km to the proposed Coles Supermarket and 2km to Woolworths and Super IGA Ormeau , Halfway between Brisbane and the Gold Coast , Great land banking opportunity adjoining well established Urban Development DA Approval for: , 2,117.30m2 Total retail area and loading bay , 253.08m2 Total office area , 11,250.55m2 Carparking, Roads and Driveways , 6 Attached Residential Villas , 28 Detached Residential Villas , Information Memorandum available on request. Excellent Ormeau light industry unit 1 minute to M1 Exit 41 Mezzanine features, 1 managers office, 1 general office/ boardroom with ducted air conditioning Kitchenette Container height roller door Drive around complex 2 exclusive car parks Contact agent Brendan Barber 0434 554 355 for an inspection today! 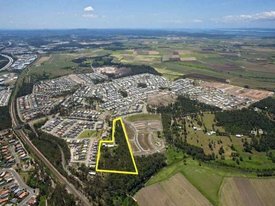 Price: $290,000 + GST Area: Total: 120m2 Location: Located approximately 38 kilometres south east of the Brisbane CBD and 35 kms north of the Gold Coast, the Yatala/Ormeau enterprise area boasts one of the largest land banks of serviced industrial land in south east Queensland. Split by the Pacific Motorway, the area has excellent access on and off the motorway. 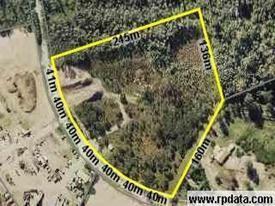 This provides an integral link to the Logan Motorway only 9kms to the north of the Yatala/Ormeau enterprise area. A large mix of companies have positioned their business in the area; Carlton United Breweries, Aldi's Qld Head Office, VIP Petfoods, Oz Kleen, Harvey Norman Commercial, Stratco and Ritchie Bros Auctions. 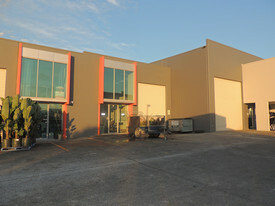 Modern warehouse with mezzanine office plus a second corporate office suite 400m2 in total Located in the Yatala Enterprise Area and only minutes to the M1 Motorway, The warehouse is 302m2 with a front and rear roller door Two industrial whirly birds have been installed to keep the factory cool in summer An additional 30m2 of air conditioned carpeted office is upstairs. Entry to the warehouse reception area is via separate glass entry door Flooring in the warehouse entry is a decorative seamless epoxy floor finish Own amenities The corporate office suite is situated in the office tower with entry via lift access 68m2 of ducted air conditioned office with shared amenities on each floor Inspection will not disappoint Owner's circumstances require us to present all offers approx Please contact the listing agent for more details by clicking on the link above. Disclaimer: Ray White has not independently checked any of the information we merely pass on. We make no comment on and give no warranty as to the accuracy of the information contained in this document which does not constitute all or any part of any offer or contract by the recipient. Prospective purchasers / lessees must rely on their own enquiries and should satisfy themselves as to the truth or accuracy of all information given by their own inspections, searches, inquiries, advices or as is otherwise necessary. No duty of care is assumed by Orchid Avenue Realty trading as Ray White Surfers Paradise Commercial divisions toward the recipient with regard to the use of this information and all information given is given without responsibility. 138.40m2 fitted out offices over two levels 70m2 warehouse Kitchenette amenities 3 allocated car parks Great access to the M1 Motorway Don't be afraid to mention a figure Inspect and make your offer today! approx Please contact the listing agent for more details by clicking on the link above. Disclaimer: Ray White has not independently checked any of the information we merely pass on. We make no comment on and give no warranty as to the accuracy of the information contained in this document which does not constitute all or any part of any offer or contract by the recipient. Prospective purchasers / lessees must rely on their own enquiries and should satisfy themselves as to the truth or accuracy of all information given by their own inspections, searches, inquiries, advices or as is otherwise necessary. No duty of care is assumed by Orchid Avenue Realty trading as Ray White Surfers Paradise Commercial divisions toward the recipient with regard to the use of this information and all information given is given without responsibility. 252m2 warehouse and office space Tenancy A: 114m2 warehouse + 70m2 ground floor office Tenancy B: 70m2 office space 2 toilets and kitchenette 3 phase power 4 allocated parking spaces NBN available Great opportunity nice yield Close to M1 Motorway approx Please contact the listing agent for more details by clicking on the link above. Disclaimer: Ray White has not independently checked any of the information we merely pass on. We make no comment on and give no warranty as to the accuracy of the information contained in this document which does not constitute all or any part of any offer or contract by the recipient. Prospective purchasers / lessees must rely on their own enquiries and should satisfy themselves as to the truth or accuracy of all information given by their own inspections, searches, inquiries, advices or as is otherwise necessary. No duty of care is assumed by Orchid Avenue Realty trading as Ray White Surfers Paradise Commercial divisions toward the recipient with regard to the use of this information and all information given is given without responsibility. 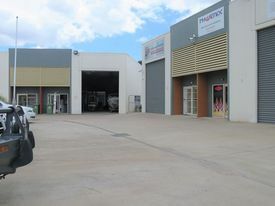 Description: Quality 218m2 tilt slab warehouse Additional 80m2 yard Air conditioned office/lunchroom 3 phase power Excellent truck access Front and side roller doors with excellent ventilation Great access to M1 Mezzanine storage Area: Warehouse: 218m2 Yard: 80m2 Location: Located approximately 38 kilometres south east of the Brisbane CBD and 35 kms north of the Gold Coast, the Yatala/Ormeau enterprise area boasts one of the largest land banks of serviced industrial land in south east Queensland. Split by the Pacific Motorway, the area has excellent access on and off the motorway. This provides an integral link to the Logan Motorway only 9kms to the north of the Yatala/Ormeau enterprise area. A large mix of companies have positioned their business in the area; Carlton United Breweries, Aldi's Qld Head Office, VIP Petfoods, Oz Kleen, Harvey Norman Commercial, Stratco and Ritchie Bros Auctions. 3.86Ha infill development site with all facilities in place Suitable for a mixture of detached dwelling, townhouses, shops etc (STCA) Ready to connect to four existing road access points from adjoining developments 600m to the soon to be completed Ormeau Village Shopping Centre Easy access to Brisbane and the Gold Coast via nearby M1 Motorway Elevated site offering hinterland views and cool summer breezes Surrounded by quality residential developments Zoned emerging community Close to local schools High growth region approx Please contact the listing agent for more details by clicking on the link above. Disclaimer: Ray White has not independently checked any of the information we merely pass on. We make no comment on and give no warranty as to the accuracy of the information contained in this document which does not constitute all or any part of any offer or contract by the recipient. Prospective purchasers / lessees must rely on their own enquiries and should satisfy themselves as to the truth or accuracy of all information given by their own inspections, searches, inquiries, advices or as is otherwise necessary. No duty of care is assumed by Orchid Avenue Realty trading as Ray White Surfers Paradise Commercial divisions toward the recipient with regard to the use of this information and all information given is given without responsibility. Potential to subdivide Located within the busy hub of Yatala Wide frontage, subdivision potential General Industry approx. Please contact the listing agent for more details by clicking on the link above. Disclaimer: Ray White has not independently checked any of the information we merely pass on. We make no comment on and give no warranty as to the accuracy of the information contained in this document which does not constitute all or any part of any offer or contract by the recipient. Prospective purchasers / lessees must rely on their own enquiries and should satisfy themselves as to the truth or accuracy of all information given by their own inspections, searches, inquiries, advices or as is otherwise necessary. No duty of care is assumed by Orchid Avenue Realty trading as Ray White Surfers Paradise Commercial divisions toward the recipient with regard to the use of this information and all information given is given without responsibility. 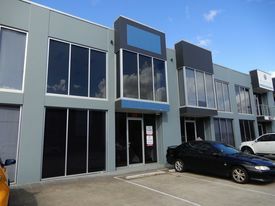 Well presented warehouse and office plus a second corporate office 302m2 factory with a long term tenant Plus a separate office of 53m2 in office tower with a tenant in place Corporate office is air conditioned carpeted with lift access Landmark building in Yatala Enterprise Area Easy access to M1 Motorway Exit 41 approx Please contact the listing agent for more details by clicking on the link above. Disclaimer: Ray White has not independently checked any of the information we merely pass on. We make no comment on and give no warranty as to the accuracy of the information contained in this document which does not constitute all or any part of any offer or contract by the recipient. Prospective purchasers / lessees must rely on their own enquiries and should satisfy themselves as to the truth or accuracy of all information given by their own inspections, searches, inquiries, advices or as is otherwise necessary. No duty of care is assumed by Orchid Avenue Realty trading as Ray White Surfers Paradise Commercial divisions toward the recipient with regard to the use of this information and all information given is given without responsibility.